When the by-line reads “Ed Brubaker & Sean Phillips,” you know you’re in for something really special. For the over a decade (their acclaimed Wildstorm series Sleeper started in 2003), Brubaker and Phillips have been bringing a very particular brand of hard-boiled-noir-meets-genre-bending-post-modernism to the comics industry. 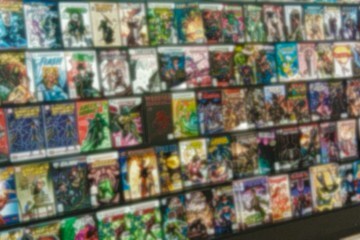 From the aforementioned Sleeper, which took characters from Wildstorm’s superhero-infused universe and thrust them into neo-noir sci-fi territory, to the recently-completed, time-jumping horror series Fatale, Brubaker and Phillips have constantly and consistently redefined both the noir genre as well as the possibilities of the comics medium. 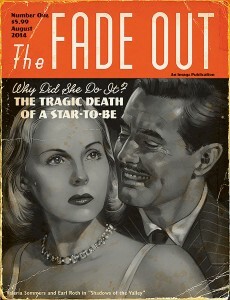 The Fade Out is the latest series from Brubaker and Phillips under the Image banner and the first released while under their “exclusive contract” with the publisher. 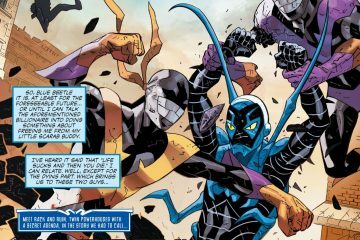 In interviews regarding both the new series and the new gig, Brubaker has frequently extolled the freedom with which he can tell whatever stories he feels the need to tell. This story—The Fade Out—takes us back to post-war Hollywoodland, replete with wild parties, shady backrooms, and aspiring celebutantes at every turn. 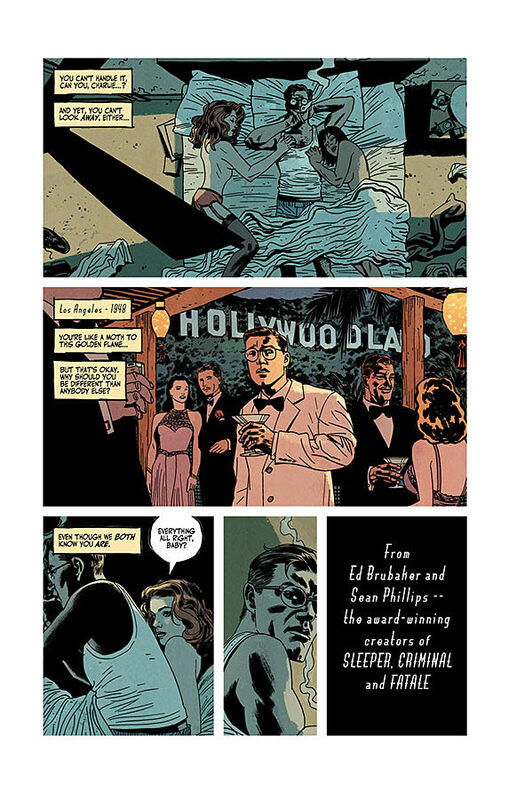 The inspiration for The Fade Out comes from Brubaker’s own family history: his uncle and aunt worked in Hollywood during the ‘40s and ‘50s as a screenwriter and PR manager respectively. In an effort to accurately capture the look and feel of 1948 Los Angeles, Brubaker and Phillips turned to Amy Condit, the manager of the LA Police Museum, for her research and expertise. The result is a gripping portrayal of the energy, the intrigue, and the wickedness of Hollywood in its heyday. We open on Charlie Parrish, our screenwriter protagonist, hung over and disoriented in a strange bath tub in a strange bungalow in Studio City in the Fall of ’48. Quick cuts to last night—a riotous party at movie star Earl Rath’s place and a detour to pick up his drunk comrade, Gil Mason—parallel Charlie’s own attempts to piece together just how he ended up here. And then blood-red lip stick on the mirror in the strange bathroom. And then a dead body. A famous dead body. Signs of a struggle. And Charlie’s out the door, thoughts whirling about just how to go about figuring this out and/or finding out who killer her. That’s just the beginning The Fade Out #1, as Brubaker’s script quickly establishes the central conflict before moving on to introducing all the primary characters through interactions with Charlie and through his quintessential, hard-boiled third-person narrator. The quick-cuts to flashbacks to the night of the party help flesh out the characters of Earl Rath and Gil Mason and Valeria Sommers (as well as establish some of the more subtle, subliminal clues to the events that led up to the murder), while real-time action with Phil Brodsky, the studio’s Head of Security, and Dotty Quinn, publicity girl, quickly point to a cover-up that speaks to the decadence and crime in Hollywood. It’s a loaded 27 pages, for sure, but the story and characters are rich with detail and secrecy and intrigue. While Brubaker introduces the epic narrative of The Fade Out, it’s Sean Phillips and Bettie Breitweiser that craft the world and atmosphere with their artwork. Of course, Phillips brings his gritty, shadowy realism, but there is something cleaner and more refined about his work on The Fade Out #1 as compared to Fatale or Criminal. The level of detail in the backgrounds and the attention to each and every line speaks to both his development as an artist as well as the painstaking effort to capture the world of 1940s Hollywood as accurately as possible. Also, Phillips seems to be experimenting with new angles and perspectives with The Fade Out, giving us more overhead shots and longviews than I seem to remember from the previous series. Bettie Breitweiser’s distinct color palette is one of my very favorite things in comics. Her willingness to experiment with deep violets and stark greens contrasts delightfully with her the indigo & white mix for the flashbacks and memories. The post-modern genre-bending manifests as Charlie’s horror-infused nightmares and drunken flashbacks to studio “accidents,” one of which seems to take place on a Western set (which immediately made me hope that Brubaker and Phillips consider doing a Western for their next piece, but I digress). It’s all lovely, and I’d read the book again just to look at it. Buy it. Immediately. The Fade Out #1 is yet another enthralling story from the team of Brubaker & Phillips (& Breitweiser). It’s 1948 Hollywoodland, it’s a neo-noir murder mystery, and it’s absolutely gorgeous. Check it!